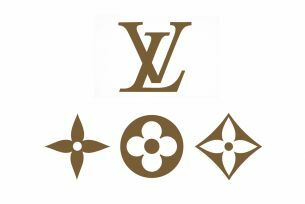 Louis Vuitton (LVΜΗ) buys stake in Hermes and Tod’s shoe company becomes the main shareholder of Saks. Bernard Arnault’s LVΜΗ bought the 14,2% of Ηermes Ιnternational, at the price of 1,45 bil. dollars. The two companies have different culture while Louis Vuitton’s bags can be bought massively, Ηermes is famous for handmade bags with a waiting list that in some cases reaches 2 years ! “The objective of LVMH is to be a long-term shareholder of Hermes and to contribute to the preservation of the family and French attributes, which are at the heart of the global success of this iconic brand,” LVMH said in a statement on Saturday. Tods’ boss became the main shareholder of the American stores “Saks”, acquiring 19% cut. Tods’ products have began to sell in the chinese market. Mr. Della Valle’s stake makes him the largest shareholder of Saks, topping Mexican billionaire Carlos Slim, who has most recently reported a 16 percent stake in the department store chain.